QacQoc is a Chinese company located in Shenzhen City. QacQoc is a fast-growing brand majoring in consumer electronics. Their vision is to create a much easier tech life for customers. 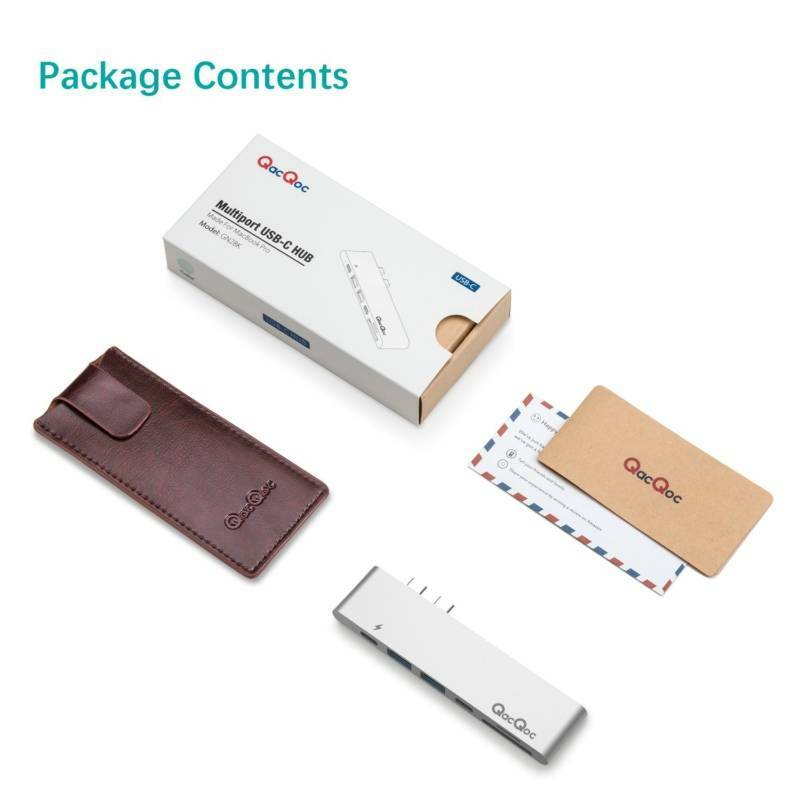 QacQoc, offers design, solid and reliable build quality for consumer electronics and mobile tech accessories. 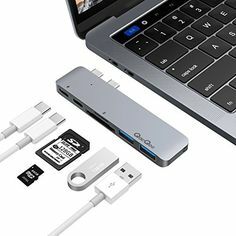 Your Mac Book connected with numerous gadgets? No problem because we have a great solution for your MacBook Pro! 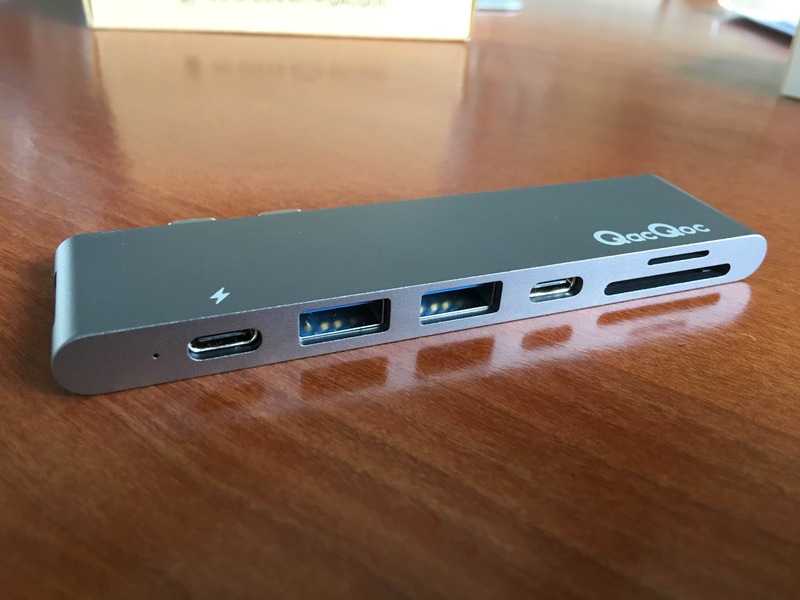 This review of QacQoc’s GN28K USB-C Hub will lift the veil of a need helpful gadget. It has a solid build with metal ( Aluminium) housing and fits straight in the connectors /ports of your MacBook. No hassle with cables, just a solid extension hub. Now you can easily connect numerous gadgets at once. In addition you can also connect your SD card as well as a micro SD card. This makes transferring data to and from your Mac Book pretty easy. 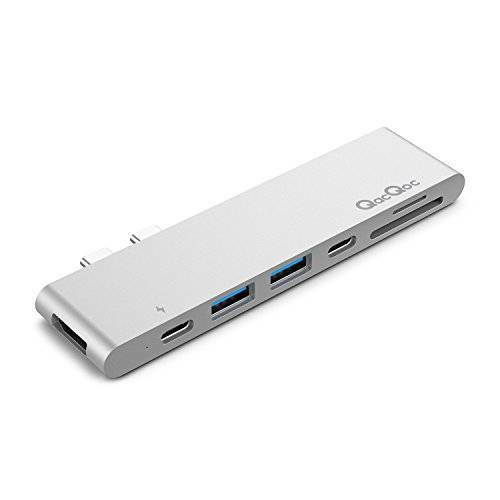 QacQoc GN28K Type-C Hub fits sturdy and get uses the power source from your MacBook. 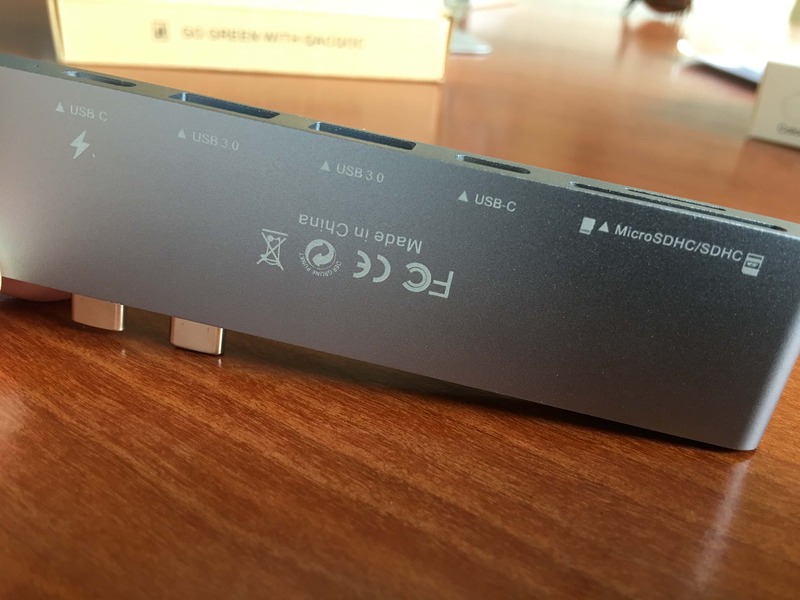 The GN28K USB-C Hub has a beautiful aluminium body design, matching your MacBook ! So what ports are available at the USB-C Hub and what is their transfer speed. Charging your laptop while connecting all supportable peripherals and transferring data & 1.5A output per usb port which can perfectly operating max 2TB external usb driver. The unit produces some heat generated by its chipset and will get around 40 C, which is warm but not excessive. So we have got most ports covered and the HDMI port provides high-quality streaming possibilities. A heavy duty charging slot is also included in this Hub. 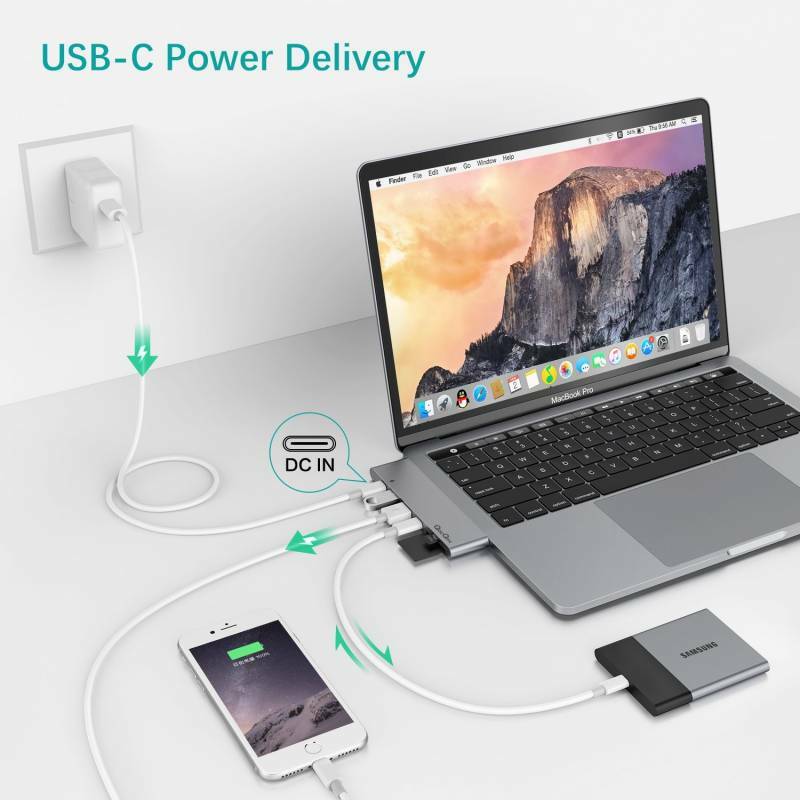 This ensures that you can easily charge your Mac Book as well while having all the devices connected to your Mac Book. Its output current of 1.5 A in the output ports ensures that you are able to easily connect devices with up to 2 TB of storage. This Hub, provides connection ports for multiple devices with Mac Book. Just attach it and you’re set. Your MacBook will install the Hub automatically with no special drivers needed. Given its Apple like design it also feels like an Apple gadget. Speeds are fine and the build quality is great. It does get a little warm, but is no real issue. So is there no negative point to make? Well not really, I can’t think of missing a connection port for most of us. Its all equipped with the present technology standards and backwards compatible with older Usb ports. If you’re in for a USB-C Hub, this is definitely one for your list. Get connected to the world with a great hub station the GN28K USB-C HUB.